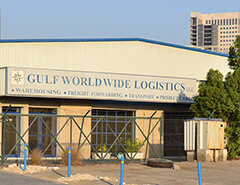 Gulf Worldwide Bearings FZE is one of the pioneer distributors of automotive and industrial bearings operating out of Jebel Ali Free Zone since 1994. With the experience of over 40 years in the bearing Industry, we have the expertise and knowledge to offer our customers the widest range of items covering a spectrum of industries. Our distribution centers keep in ready stock the entire range of items so as to reduce the lead-time for our distributor network and to eliminate down-time for end-users and manufacturing facilities. 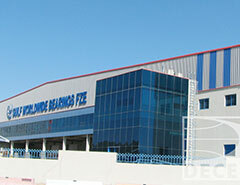 Gulf Worldwide Bearings FZE is committed to “Quality Excellence” in all areas of our products and business operations. Maintain the highest quality standards all of our Products, systems and processes. Provide Quality services to ensure Customer Satisfaction. Adopt a Philosophy of Continuous Quality Improvements in all aspects of our operations. The realization of this policy is achieved by all members of the company working collaboratively to achieve our quality objectives. GWB operates 40,000 sq. 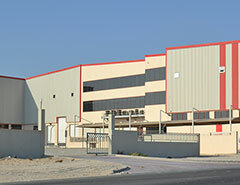 meters of state-of-the-art warehousing facilities spread over Jebel Ali North & South Zone. GWB is able to offer ready stock availability and fastest mode of logistics solution to its customers across the world. To ensure that all our products fall in line with strict quality standards; GWB has constructed its in-house bearing inspection and testing facility. All Incoming shipments are inspected for noise, vibration, hardness, tolerance and clearance parameters. We also have the ability to carry out metallurgical analysis upon request from our clients. If you would like us to issue a QUALITY CERTIFICATE against your purchase, kindly let us know. Our Testing Facility also works tirelessly to develop new products for our clients, and we normally develop 70-80 new products every year to add to our ever expanding range.